There’s a lot of debate in music about the over classification of artists and genres. Some even say there are just two types, either – good or bad – or even - music that you like or music that you don’t. One such act currently due to promote their new album in the British Isles is the husband and wife duo Hat Fitz and Cara. 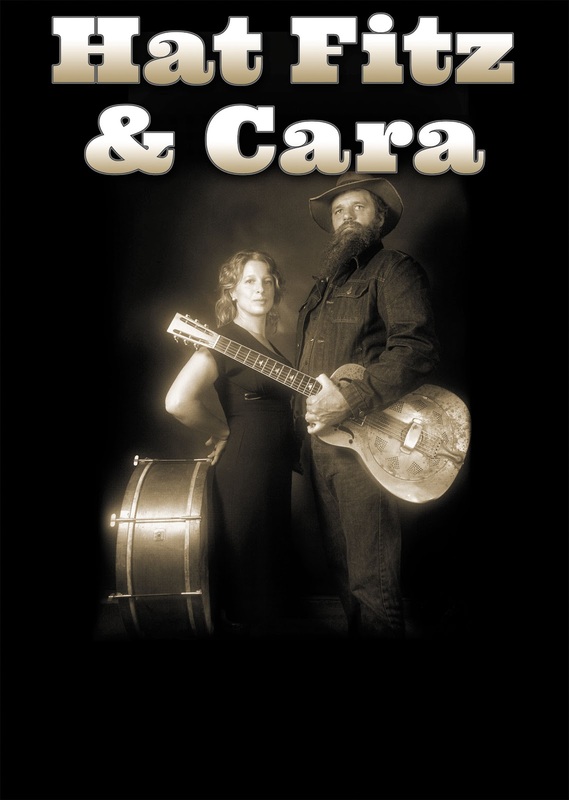 They certainly fuel the debate by throwing into the mix- an Australian bluesman, an Irish folk singer, Cara Robinson to give her full name, a touch of alt-country and instruments ranging from lap steel, piano and bass to flutes, fiddles and the usual guitar to cement the blues sound that resonates throughout their music. This current record is only their second full length album release since their formation in 2008 but Wiley Ways, a follow up to 2010’s Beauty and the Beast is set to help them get further established on the UK and Ireland roots circuit throughout the summer of 2012. Their growth plan is on the back of the success they have had in Fitz’s homeland of Australia, a place where they have settled and recorded this album. The duo have written eleven of the twelve tracks on Wiley Ways, the exception being the Frank McNamara penned Company Underground and apart from the instrumental tune Sine, a number that fuses lap steel and flute, they share their contrasting vocal styles fairly evenly throughout the album’s duration. This contrast is highlighted in two particular songs, the opener Power, where Cara’s vocals have a touch of the song title and very different to her soft Irish brogue that accompanies other songs such as the closer Rusty River, and the country flavoured Play Something New, where Hat’s raw outback accent superbly complements the acoustic strumming that is a feature of the song. The duo’s bio throws an intriguing myth into the air of the suggested destiny these two had in meeting up, dating back to the colonisation of the Australian continent in the early 19th Century and this theme is further explored in the song Eliza Blue, named after a ship transferring felons from the British Isles around this time. However the strength of this album tends to be in the mix of sounds the band makes rather than poignant songs where the lyrics instantly grab you. There may be a comparison to another certain bearded bluesman who regularly frequents the summer UK festival scene and the masses of mainstream music fans who flock to see Seasick Steve should take more than a passing interest in the pickin’ of Hat Fitz, expertly demonstrated on one of the latter album tracks Red Rattler. Amongst their extensive summer tour dates, is a tentative appearance at the Shrewsbury Folk Festival in August and although the festival’s website is yet to confirm this, having come across their second album they will be an act definitely sought out on the Saturday. In fact the eclectic sound of Hat Fitz and Cara supported by this album will be a welcome addition to any live venue this summer.